Two Newport businesses have teamed-up to play their part in building the buzz around the town’s thriving High Street. 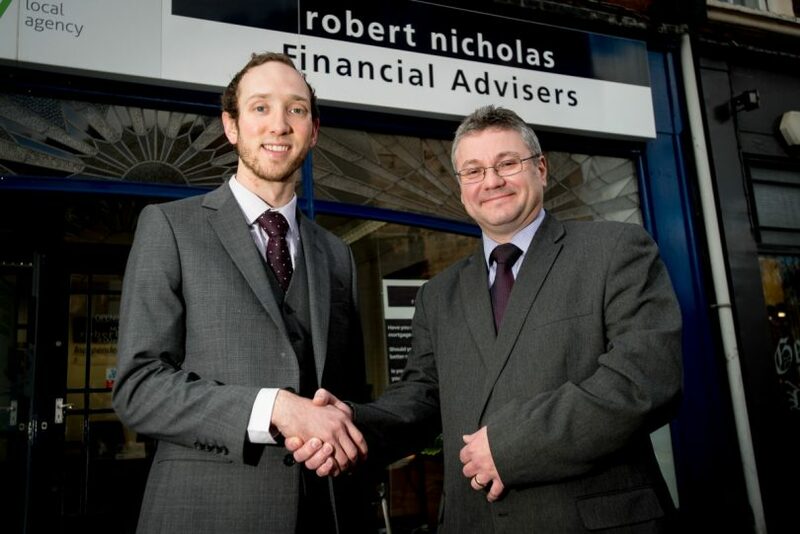 Robert Nicholas Financial Advisers and Fiveways Insurance have agreed an informal arrangement to refer clients looking for their specific services to one another, in a bid to retain business in the town, particularly in the face of pressure from online competitors. Robert Nicholas was founded in 1999 and has been based in High Street since moving to the town in 2012. As well as providing independent financial and investment advice, it is one of only two Shropshire agencies for the Yorkshire Building Society. Fiveways, which offers a range of personal and business insurances, has been trading since 1967 and has offices in High Street and nearby Stafford. Robert Nicholas Director Andrew Harvey said both firms were committed to doing what they can to keep the ‘high street’ healthy. “Our industries are both competitive market places and ones where online business is thriving. But, as experts in our sectors, we have the advantage of being able to offer the personal touch and added value such as referring clients to a business that we know and respect. Nigel West, Managing Director at Fiveways echoes Mr Harvey. He said: “It is vitally important that we as local businesses support each other and the local economy – shop local applies just as much to service industries in our High Streets as it does to the retail trades.